Charter a private flight to Cape Cod and experience a city full of luxury hotels and interesting attractions for private jet travelers. 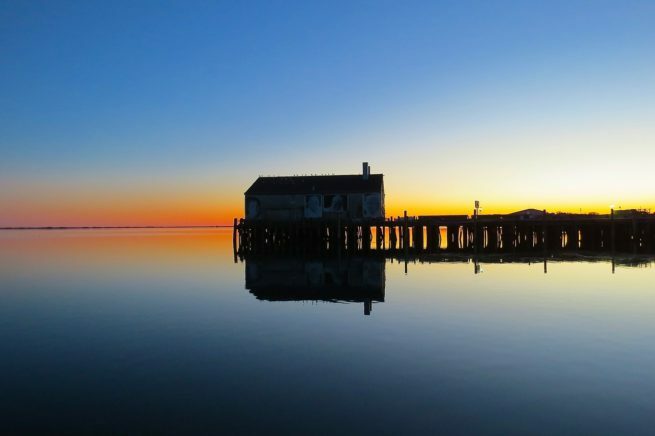 Cape Cod is one of the United States’ most iconic tourist attractions. The city is almost stopped in time as big developers are boxed out in order to maintain the area’s quaint and charming “mom n’ pop” atmosphere. First settled in the 1800’s, Cape Cod soon became known as the premier vacation destination in the region. This lead to its current booming economy based around stable industries and – most of all – consistent tourism. The city is no stranger to affluent travelers, so there are plenty of options for flying into the city. And the best way to fly in is always via luxury private jet. Jet Charter Boston representatives are experienced in working with a wide variety of clientele. So whether you’re a top-tier business executive hunting for your next investment or heading to a business meeting, or you’re an affluent traveler hoping for a bit of rest and recovery, our Wyvern certified jet charter brokers can arrange multiple aspects of your trip. From multi-leg private flights with in-flight catering to luxury ground transportation and private helicopter lifts, nearly anything can be arranged upon request. We can even connect you with empty leg flights throughout New England for incredible rates. Request a quote now or give us a call to book your private chartered flight to the Cape. Charter a private flight to Cape Cod and have a refreshing break from typical party destinations while still enjoying yourself. There are plenty of lodging options in Cape Cod that are perfect for luxury private jet travelers. Mostly consisting of four and five-star resorts, this town caters to luxury travelers better than just about anywhere else. One of your best options for classic luxury in full on Cape Cod beach style is the Ocean Edge Resort & Golf Club. This resort has multiple options for where to stay depending on the occasion. If you’re just looking for a bit of rest and recovery, then look no further than the Ocean Edge Resort’s “Mansion” club. The Mansion features 90 newly renovated and generously appointed guest rooms, along with a ton of suites that will ensure your comfort throughout your trip. Whatever type of experience you’re looking for, the best way to get in and out of the city is via private jet charter. Cape Cod Jet Charter is here to help from booking your private flight to arriving at your hotel. So to help you pick the best resort for you, we’ve compiled a list of the best options in the area. Based on client feedback, online reviews, amenities offered, and location, there is sure to be something on the list that looks just right. So keep reading to check out the best hotels in Cape Cod, Massachusetts. Charter a private flight to Cape Cod, a hook-shaped peninsula jetting out from southeastern Massachusetts. The region is one of the top tourist destinations in New England, and much of the allure of Cape Cod lies in its veritable army of ultra-luxurious resorts. They range from exciting and family-oriented vacation destinations to quiet and secluded couple’s retreats. After you’ve checked-in, take a morning bike ride along the popular Shining Sea Bikeway. With unbeatable views of Buzzards Bay, Woods Hole, and a wonderful seclusion from traffic or people in general, it’s the perfect way to start your day. After you’ve communed with nature via the Shining Sea Bikeway, head back to your resort for lunch, or grab a bite out on the town. Provincetown is the main place to be for a delicious seafood lunch or dinner. As a beach town, most restaurants specialize in various fish, muscle, and crab or lobster dishes. One of the most popular things to do is to bring a bunch of friends out to one of the local oyster bars to toss back cocktails and chow down on oysters over saltine crackers and hot sauce. For a more upscale vibe, head over to Jimmy’s HideAway. One of Provincetown’s premier fine-dining traditions, they offer an extensive wine list, fresh and sustainable seafood entrees, and consistently impeccable service. Live music bars, dive bars, and cocktail bars are sprinkled throughout the downtown district. Of these, the cocktail bars are the most popular by far. Bloody Mary’s during the day, cocktails at night, and mimosas in the morning are the style in Cape Cod. For the best cocktails in town, mosey on over to The Beachcomber. This iconic bar has been a Cape institution for more than half a century. Their signature Goombay Smash has been sold over three million times, and more are sold everyday (apparently they’re quite effective). And of course there’s plenty of fresh seafood to help absorb a few of those Goombay Smashes. Check out more o our recommendations for things to do after your private flight to Cape Cod, Massachusetts. Jet Charter Boston utilizes the following airports to fly clients privately to/from Cape Cod, Massachusetts and neighboring areas. Request a Quote or give us a call at 1-888-987-5387 to speak with one of our Cape Cod Private Jet Charter agents for your next luxury vacation, business trip, or special event.